Kim Monson, Host of AmeriChicks joins us today to talk about a great rally “Stand Up For Colorado” happening on May 10, 2019. 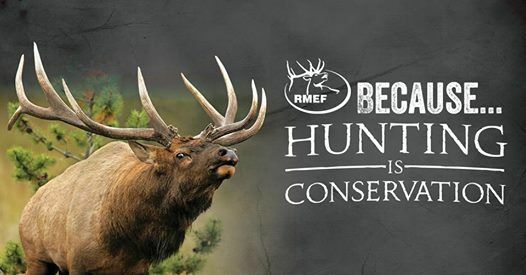 For more information go to www.StandUpForColorado.com. Listen to the AmeriChicks with Kim Monson 6-7am Mon-Fri on KLZ 560AM. 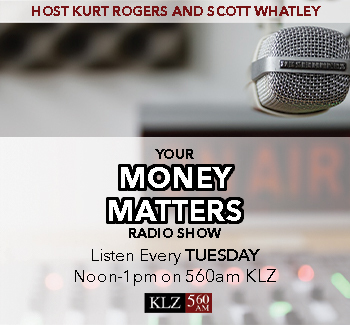 David Cichon with Cichon Financial Services joins us to talk about having a Tax Free Retirement. Then Your Health Matters with Dr. Shane Steadman, today Dr. Steadman discusses Leaky Gut and the symptoms, and how Integrated Health Systems can help. We also discuss the emergence of CBD oils in the medical world. Dr. Steadman offers a free consultation, visit their website at www.IntegratedHealthDenver.com. Attorney Casey Williams promotes Senior Law Day 2019 being held on Saturday, June 8, 2019, 8:00 a.m.-2:00 p.m. at The Conference Center at Adams 12 Five Star Schools 1500 E. 128th Ave., Thornton, CO 80241. Casey is also the Deputy Public Administrator, 17th J.D. Then, Gino Panepinto, Owner of Mosquito Authority talks about all their company offers. No contracts, No commitment…No Mosquitos with Mosquito Authority. Also, Kevin Trizna, Owner of M4 Roofing & Gutters offers a free roof inspection and offers some tips when hiring a roofer. Then Diane Nottingham joins us from D&D Tire Service to talk about what D&D Tire Service has to offer. D&D Tire Service is your one stop shop for all of your automotive repair needs. 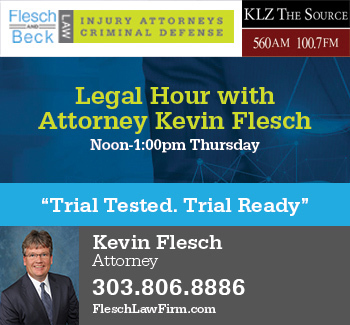 Attorney Kevin Flesch, Attorney at Flesch & Beck Law and our special guest John Oravez, Owner of Rampart Firearms in Sedalia have a great discussion on gun laws and the recent event here in Denver with the school closures. 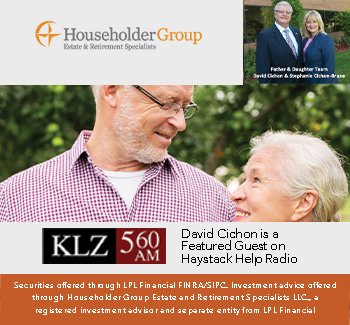 David Cichon, Cichon Financial Services talks about planning your best financial retirement. Dr. Dean Anderson, Owner and Chiropractor at Front Range Medical Center talks about how he helps patients with Neuropathy. Attorney Casey L. Williams, with Tolison & Williams joins us talk about her firm and the upcoming Senior Law Day 2019 for Adams County and Broomfield, being held on Saturday, June 8, 2019, 8:00 a.m.-2:00 p.m. at The Conference Center at Adams 12 Five Star Schools 1500 E. 128th Ave., Thornton, CO 80241. Casey is also the Deputy Public Administrator, 17th J.D. the Asset Manager Loan, and how you can pay your home off in 7-9 years saving thousands of dollars. John Henkel, Owner of Online Trading Academy talks about his patented methods and offers an upcoming seminar. Then Allen Stack, Owner of Stack Optical talks about their boutique eyeglasses shop and onsite lab. 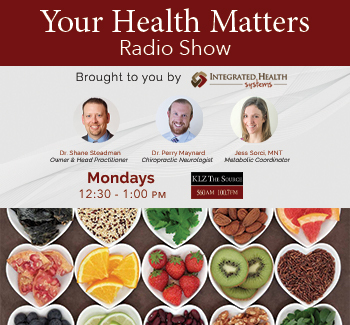 Then “Your Health Matters” with Dr. Shane Steadman, Owner of Integrated Health Systems to talk about food allergies and his upcoming Seminar on Brain Injury Awareness to be held on May 13, 2019 from 6-8pm at St. Anthony’s Hospital in Lakewood.